Happy Holidays, gamers! We’ve got some events coming up to bring you some cheer. We’ll be taking a break from updates for the rest of December and come back in 2018 with a new format. 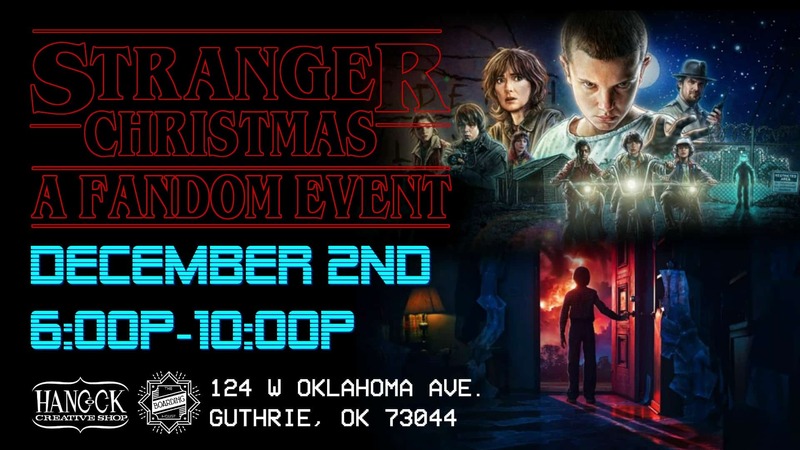 Calling all Stranger Things fans, don’t miss this Stranger Christmas Party. This event includes fan art, costume contests, photo booths, a special Eggo menu and Dungeons & Dragons. Learn more. If you haven’t left the warm glow of the TV or monitor lately, don’t miss the fall foliage changing right outside your door. We’re having a lovely autumn here in Oklahoma. You my even catch a glimpse of it on your way to these awesome gaming events. Looking to blow off some steam? Always wanted to fight like your favorite fantasy hero, but maybe less pointy and stabby? 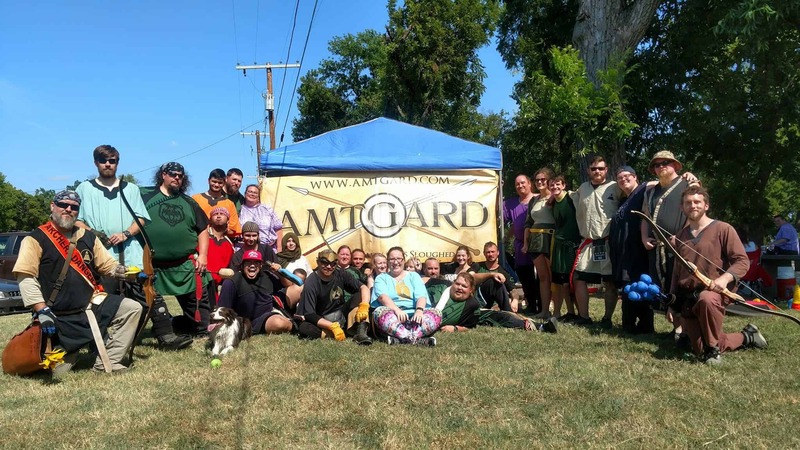 Join The Barony of Red Storm for AMTGARD, a live action fantasy combat LARP. Players wear fantasy attire and use padded weapons to immerse in a world of heroic combat, quests, crafts and more. Learn more. 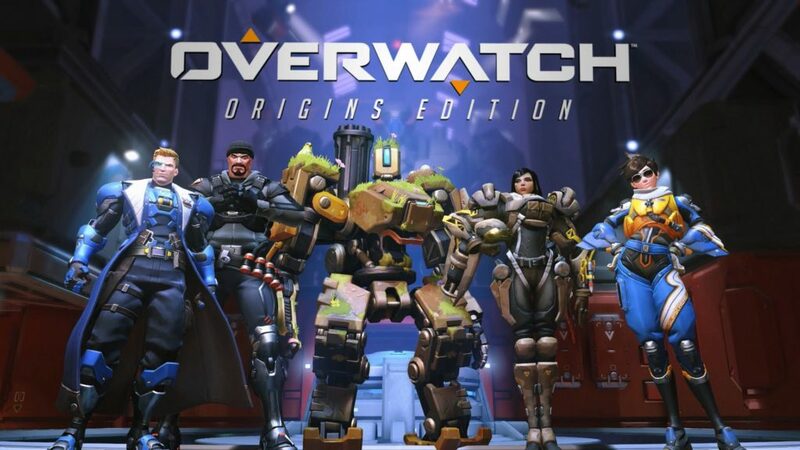 There’s no excuse to be bored this weekend, gamers. 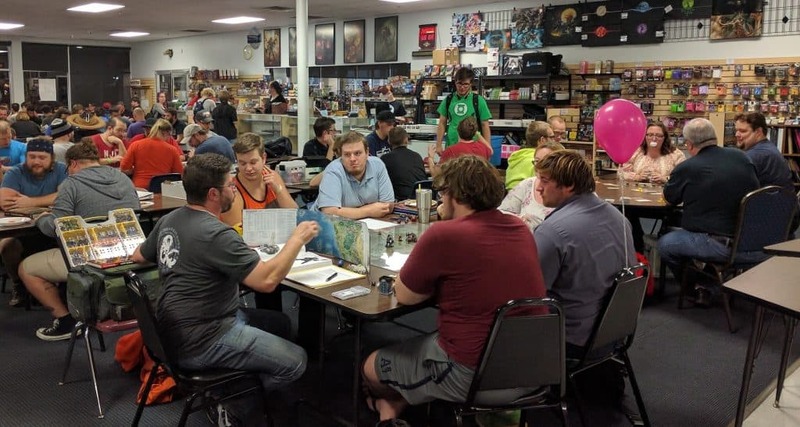 We’ve got a plethora of tabletop events all over the state. Make this your weekend to try out a new board game or a new game store. 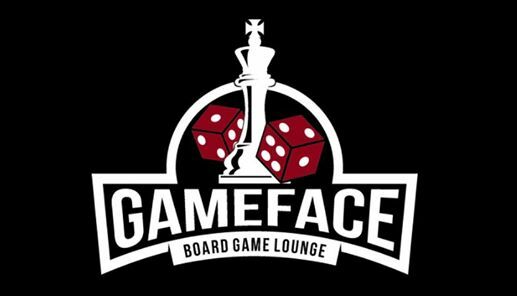 GameFace is a brand new board game lounge opening in Yukon. Check out their free soft opening celebration this Friday. 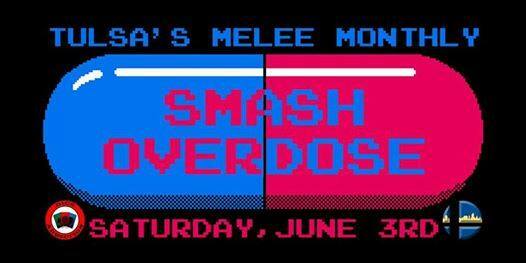 They’ll have over 60 games available to play and all attendees will receive a raffle ticket for a new game. 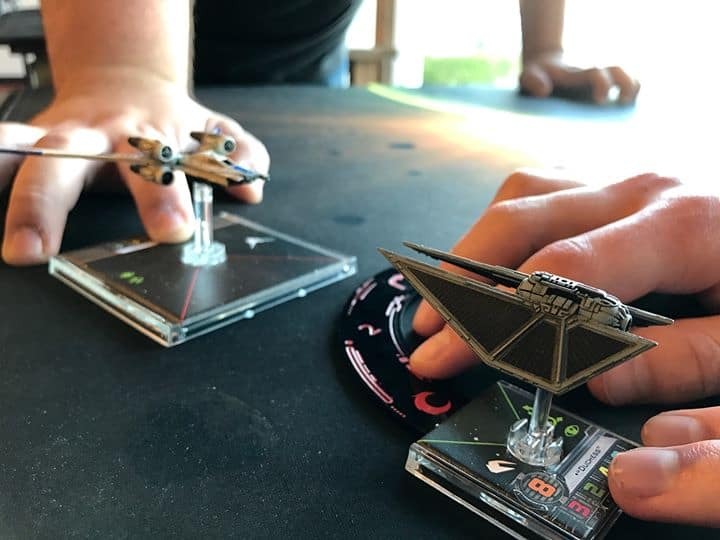 Be sure to welcome this new friendly local game shop to our community! Learn more. Filed Under: Oklahoma Gaming Tagged With: board games, CCG, Console, eSports, FLGS, Imperial Settlers, Madden, Settlers of Catan, Tabletop, TCG, Tournament, Vs System, Vs.
Ah yes, Oklahoma in May. One word: Tornadoes. Sure, the weather has been pretty rough, but when has that ever brought a gamer down? …OK, maybe when the power goes out, but that’s when you switch from video games to tabletop, right? A little ‘nado won’t bring us down this weekend! 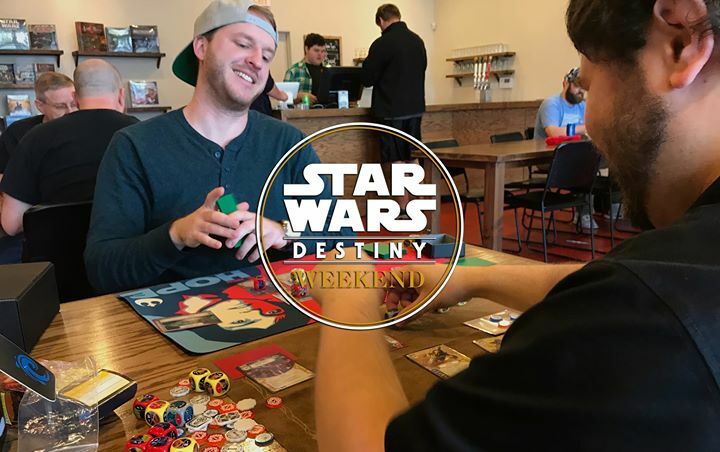 Destiny Weekend celebrates the release of Star Wars: Destiny Spirit of Rebellion. Tournament participants will receive a booster box and two full art promo cards. Lukas Litzsinger, the lead designer for the game, will be there all weekend too. Learn more.